Bolton, a full featured task chair has the versatility to fit any space. From the executive office to the front office, Bolton provides comfort and elegance with its thoughtful design and upholstery options. Offered in high-back, mid-back and stool versions, Bolton is highly versatile allowing users to choose the right configuration for their size, shape and tasks at hand. 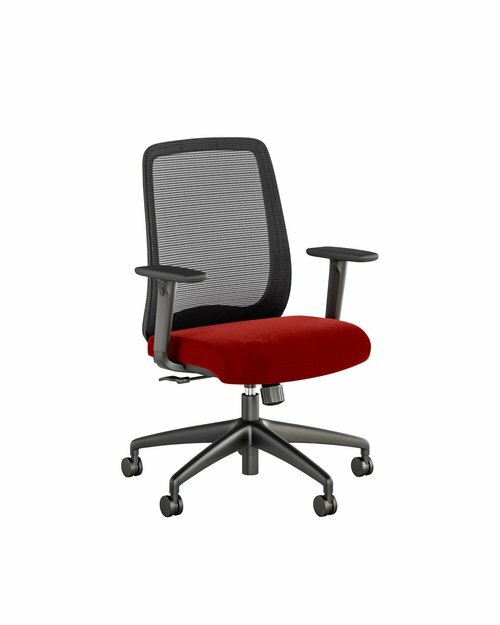 Adjustable seat height, optional adjustable lumbar support, arm adjustability, tilt tension adjustment and back lock allow the user to fine-tune Bolton to their personal preference. A head rest option is available for the high back version. Seat height: 17 – 21"
Arm Height: 7.5 – 10"
Seat Depth: 16 – 19"